Feel the Force when you are the Controller! 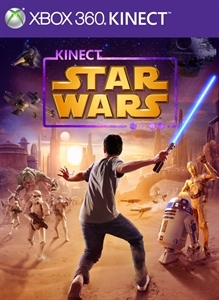 With Kinect Star Wars, Step into Star Wars and experience a new galaxy of physical gameplay. Pilot a starfighter, race speeder bikes and even become the ultimate Jedi. Enjoy more adventures by yourself or with friends.